Features: Tool removes and installs upper rear main oil seals with engine crankshaft in place. It works on both wick- and neoprene-type seals. Chinese finger-type grip won`t slip from the seal during installation. 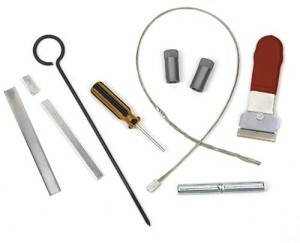 Set includes a wick seal remover, installer, guide funnels, pusher, offset trimmer and neoprene seal punches.